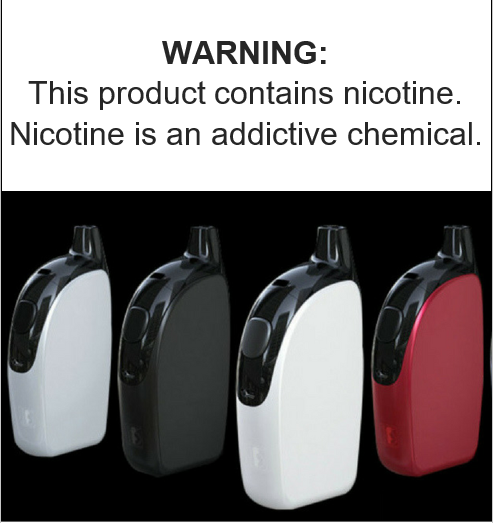 The Joyetech ATOPACK Penguin SE AIO System is a Special Edition of the original Penguin platform, retaining the unique structural designs and performance capability with brand-new set of vibrant color options, lighter weight chassis, and a new visual e-liquid window. The ATOPACK Penguin SE implements a natural soft contour chassis in a penguin-like design, presenting a plethora of new vibrant color options and style designs for the Special Edition. It integrates an impressive 2000mAh rechargeable battery with convenient charging port capable of 2A quick-charge current for low downtime and added efficiency. The Penguin SE is controlled from a single enlarged firing button, with direct voltage based output and five LED battery indicator for instant feedback to the battery state. The Joyetech Penguin features a refillable cartridge section with an impressive 8.8mL juice reservoir, providing one of the most range for a perfect travel-size system. The deployment of the JVIC (Juice Vertical Injection Coil) Atomizer System provides astounding flavors and vapor production through it's innovative structure and ceramic base.